Macauley Culkin living with Pete Doherty in Paris. If you spend most of your childhood fending off violent home invasions from bungling but menacing villains, it is bound to have an effect. Friends of Macauley Culkin might need to stage an intervention though and tell him that the solution is definitely not living with Pete Doherty. Kevin, sorry Macauley, is apparently holed up in Doherty's Paris pied-a-terre, which we suspect is not a pristine luxury apartment bur rather a den of bohemian squalor littered with needles, bongs, ashtrays and disgraceful French verse. The pair share an interest in poetry and acting. They have a mutual friend in New York musician Adam Green who irresponsibly introduced Culkin to Doherty. Culkin, perhaps stifled by spending all his youth in a Hollywood set version of a suburban house, likes the bohemian European lifestyle. "Macauley and Pete may seem an odd couple but they have loads of interests and life experiences in common," a friend told The Sun. "They bonded over their love of poetry and art. Macaulay can’t get enough of listening to Pete waxing lyrical about his painting and music. He’s always been a fan of extreme characters like Pete. Look at the way he defends his childhood friend Michael Jackson. Pete also loves talking to Macaulay about acting, as he’s been trying to launch a movie career." Nice sideswipe comparison of Doherty to Michael Jackson there. The shared "life experiences" seems to refer to drug busts. 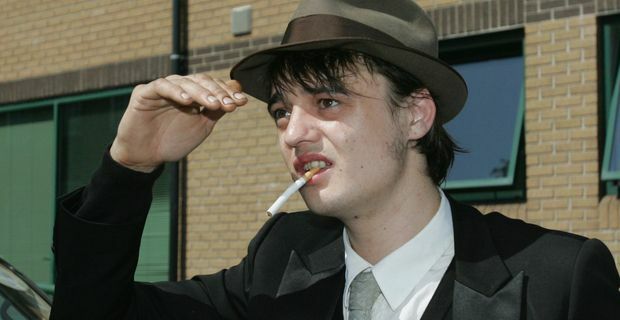 As for Doherty's acting ambitions; he has already demonstrated that he has startling lack of talent in that direction. Culkin might not be the most obvious teacher either. His last screen appearance for UK fans was a 2009 Aviva commercial uttering the plaintive line "remember me?" At 33, the balding Culkin is probably hanging around waiting for Quentin Tarantino to relaunch his career in some post-modern violent thriller. Perhaps Culkin and Doherty could make a middle-aged slacker Home Alone 3 in which they are attacked by disgruntled dope dealers. Or a remake of The Odd Couple.